The eight principles to live and thrive by lists and explains the principles issued by His Highness Shaikh Mohammad Bin Rashid Al Maktoum, Vice-President and Prime Minister of the UAE and Ruler of Dubai (“I have never seen love like my mother’s love: Shaikh Mohammad”, Gulf News, January 17). He is a visionary and a true transformational leader, putting the nation before his own interests. He sets an example of effective leadership and a favourable global image focusing on development of the nation and its people. World leaders can learn from such an inspirational leader, who has managed to create a favourable environment for everyone to flourish. The third principle specifically focuses on Dubai taking a politically neutral stand, creating economic opportunities, and recognises the importance of social harmony for all. Although the UAE has a set of rules and regulations for all to follow, Shaikh Mohammad creates a positive and welcoming environment for visitors, businesses, and expatriates in the workforce in all sectors. I am so happy that 2019 has been declared as the ‘Year of Tolerance’ (“‘Pope’s visit to help build values of tolerance’, Gulf News, January 22). Tolerance is the greatest gift God can give us. It is something that you must cultivate when you interact with different kinds of people. Everything in life needs tolerance whether it is completing a simple task or solving a complicated issue. In our social studies class, we read about His Highness Shaikh Mohammad Bin Rashid Al Maktoum, Vice-President and Prime Minister of the UAE and Ruler of Dubai, and his vision for the UAE. He once said that what made him proud was not the height of a building but the openness and tolerance of the nation. Hence, let us all strive together to become tolerant citizens. To be frank, I have no political affinity towards any particular party (“BJP suffers setback in AP as MLA quits”, Gulf News, January 21). I think all politicians fool the common man with their promises during election season. 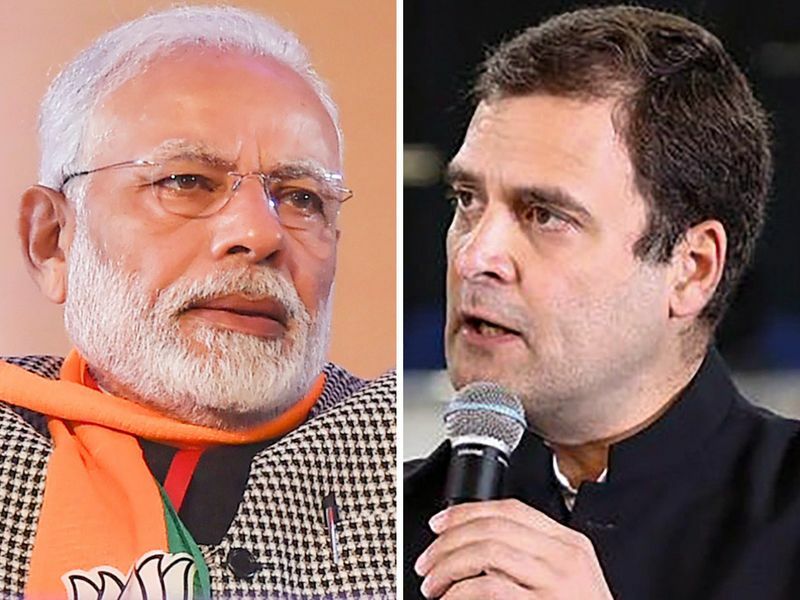 Here I refer to the comments of Tamil Nadu Congress Committee (TNCC) president, who feels that not five per cent of the people of Tamil Nadu will support the Bharatiya Janata Party (BJP) in the coming elections. I think he is being a little overconfident after their recent election result. He seems to have forgotten that the Congress party was worse in Tamil Nadu in 2014 when they failed to get even a single seat. Even their senior most leader Palaniappan Chidambaram, was not brave enough to contest from Tamil Nadu and even begged for a seat from the state of Maharashtra. But for their alliance with Dravidian parties, their plight would be worse than BJP, who at least got one seat in 2014. Hence, it would be foolish of Congress to totally write-off BJP in Tamil Nadu. Sanjaya Baru wrote his much acclaimed “Accidental Prime Minister” after he was dropped by the then Prime Minister, Dr Manmohan Singh (“‘Accidental Prime Minister’ director sad focus is shifting”, Gulf News, January 8). Why did he not write it in the five years that he was a part of Singh’s administration? Positions like the one held by Baru come with an unwritten code of morality and discretion. He betrayed that. For publicity and for lining his pockets. To appreciate and condone what he did by writing this book or whosoever decided that it was worth making into a film, truly sets a new low in India’s discourse. We all eventually come a long way in our careers. It doesn’t necessarily mean that we are getting promoted. There are other factors that contribute to this (“Revealed: Actual wage increases in UAE, rest of the world”, Gulf News, January 21). What we value and feed our souls becomes our legacy. A job may be small but if it left a lasting impression on you then it means you succeeded. I am in a position where I am able to switch my roles and tasks. I train people. Training of any kind is a task in itself. My goal is never just to get things done. When you touch someone’s life in a way that made a difference, that’s when you start getting addicted to it. You want to do it over and over again. When you train people you are moulding people into becoming a mini version of you. However, during this process, people find themselves too. It’s like extracting the skills out of people and helping them hone it. I think I would call this ‘finding yourself’. You never know what you are really capable of until you try and give your best shot to something. People are afraid to fail; to be questioned or judged. I was too. How do you silence the external voices and focus your attention on the task? It might seem like a difficult task but your attitude towards things can help create opportunities. Your attitude is just like a pinch of salt that was needed to make the curry delicious. What you give, your get back, that’s how life works. Indian schools in the UAE are going to offer Artificial Intelligence (AI) as an elective. As much as I applaud the initiative, I am sceptical about the execution of the same. Many great initiatives regarding the option of elective remain only on paper as the schools who are expected to provide the same do not provide the options in practice. For instance, the Indian Central Board of Secondary Education cites a list of 30 language options children can take up. But in practice, a majority of the Indian schools in the UAE offer only three: Hindi, French and Malayalam. Why are not other languages included? With school fees increasing, I think the schools should at least give more language options for the students to choose from. I hope Filipino billionaire Henry Sy rests in peace (“Philippines’ richest man Henry Sy dies at 94”, Gulf News, January 20). He has made a magnanimous contribution to the Philippine economy, which benefits the youth. When young graduates from various parts of the Philippines couldn’t find jobs, as jobs were rare, his malls provided hope.